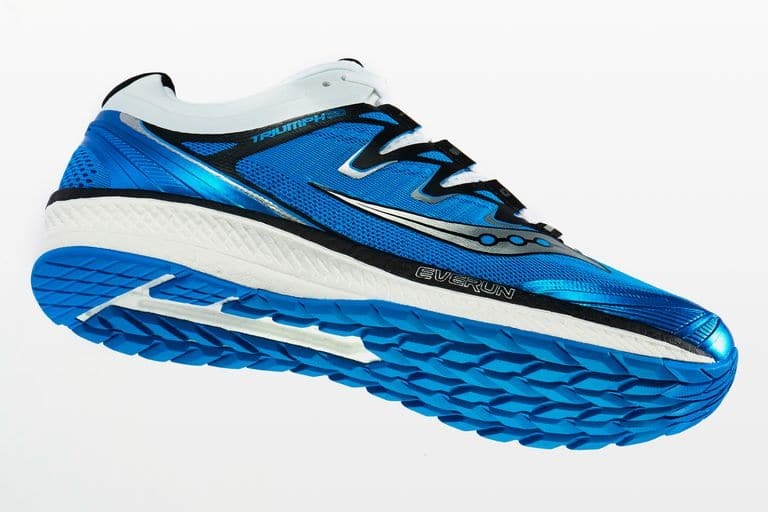 The updated, ultra-plush Saucony Triumph ISO 4 has the extra cushioning to help you go longer and run stronger. Some runs, you just want a shoe that’s seriously, unbelievably comfy. The Saucony Triumph ISO 4 is that shoe. From its super plush heel cushioning to adaptive-fit mesh upper, the Triumph was made with cozy kilometres in mind – and our wear-testers loved it every step of the way. Heel hugging aside, the Triumph packs ultra-soft cushioning in both the forefoot and heel, especially the women’s version. Unfortunately, the extra padding does come at a cost – already a fairly hefty neutral shoe, the Triumph added a touch more weight in its fourth iteration. Some of our testers disliked having a heavier shoe on foot, but several also felt that weight was no concern given the high level of comfort. Specifically, a few of our testers who recently completed marathons were especially grateful to have a shoe so mindful of their tired legs. The Triumph made easing into those first few achy post-race kilometres much more enjoyable. 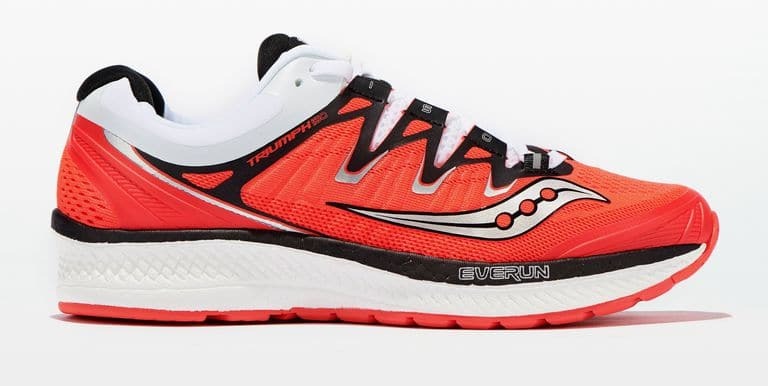 The Triumph ISO 4 returns with a full-length midsole of ultra-cushioned Everun foam. While this aspect was unchanged from the 3, the shoe’s overall flexibility took a slight dip. Some testers felt that this made the shoe a bit too stiff, others thought it helped add extra spring into their strides. While the Triumph does offer slight stability, it serves neutral-footed runners best. In addition, heavier testers found that they needed a little more support underfoot to manage the shoe’s high cushioning. Saucony tidied up the Triumph silhouette by shaving off about two millimeters of midsole and removing some extra rubber from the outsole. While this didn’t lighten up the shoe, it did help create an overall lower profile from the 3rd generation. 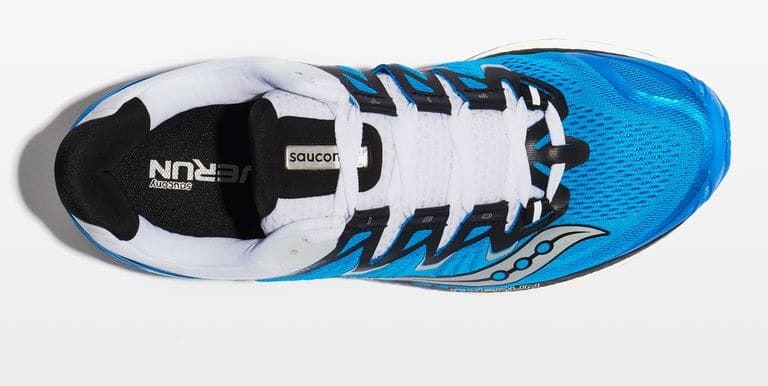 However, Saucony stayed consistent with the shoe’s tread, borrowing the same zig-zag rubber construction that boosts both traction and flexibility. The most significant change testers noticed from the shoe’s predecessor was a softer, more cushioned collar foam around the ankle. While some liked the added padding, others thought it felt a little too bulky and made the shoe feel too loose. However, testers said they never felt as though they were slipping out of the Triumph on runs, which could be owed to the redesigned heel shape in the 4th version.